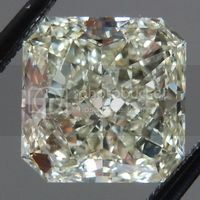 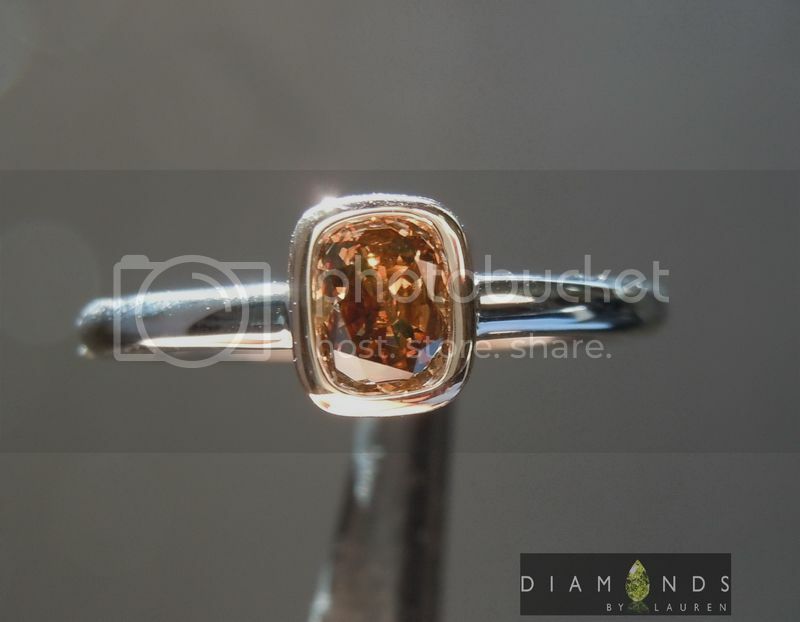 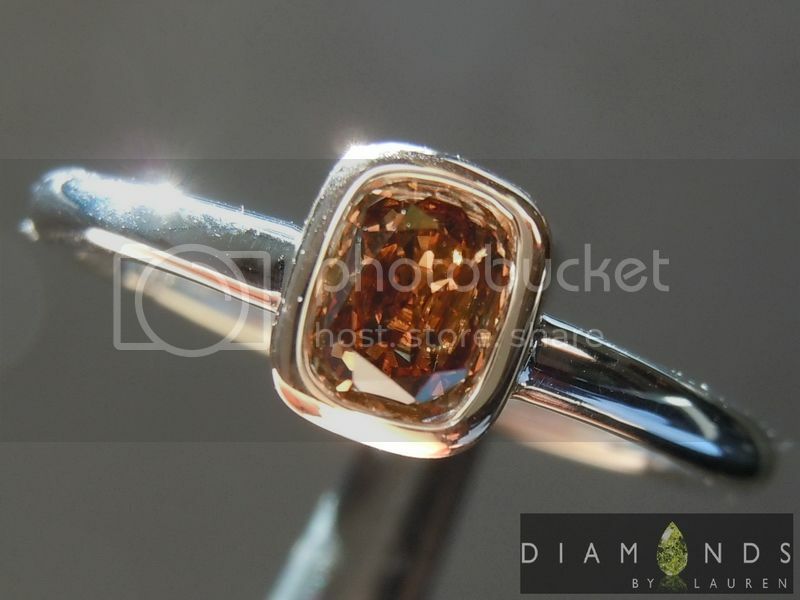 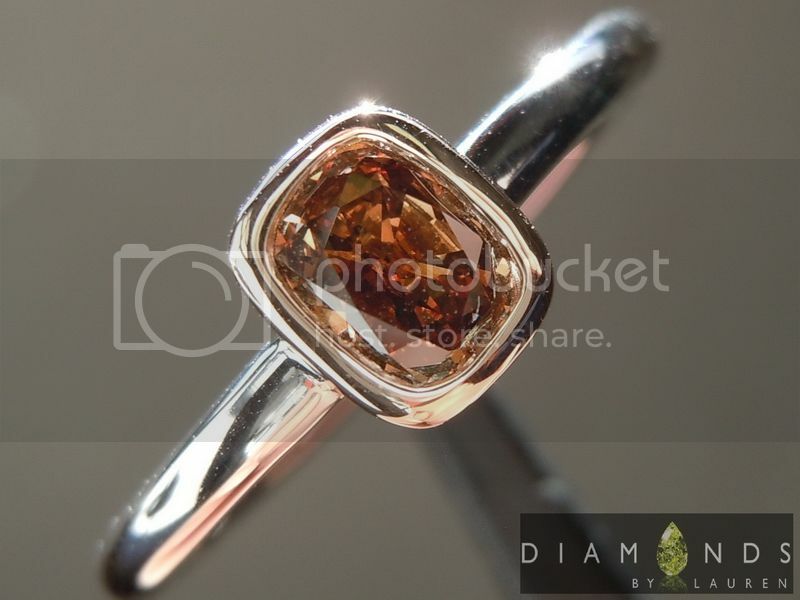 We got some craaaaazy deals on some really sweet looking brown cushion diamonds. 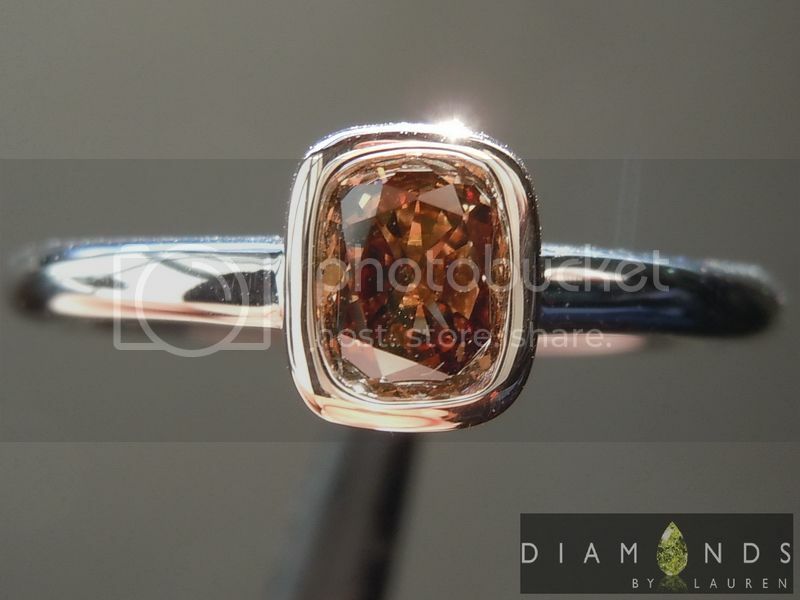 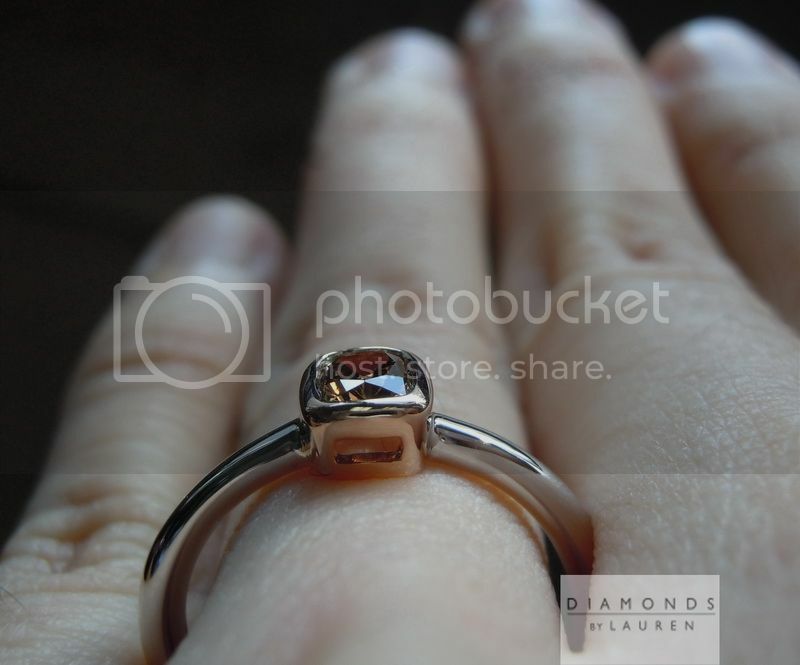 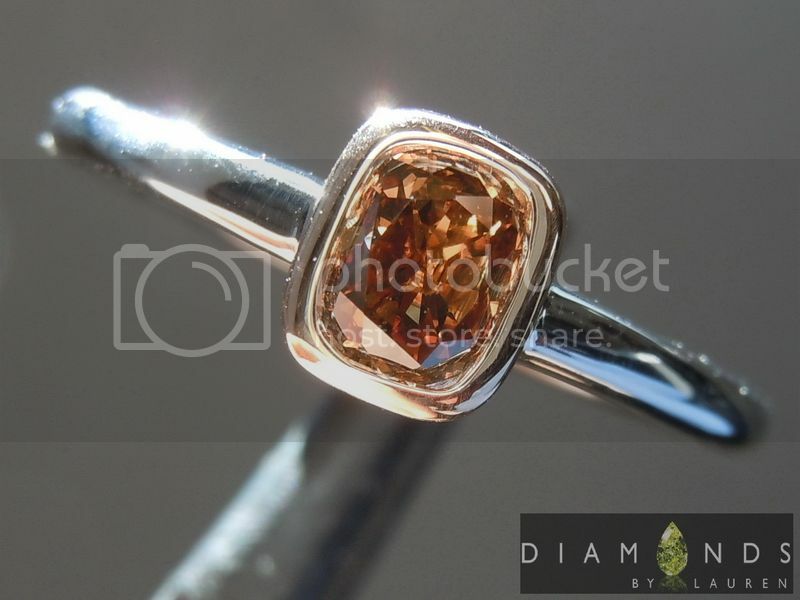 Even though brown is one of the least costly colors in diamonds, that does not make it any less beautiful. 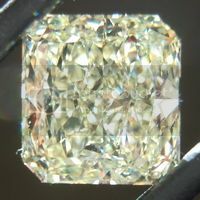 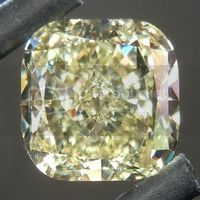 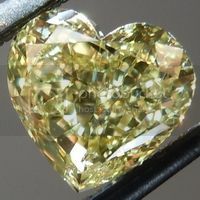 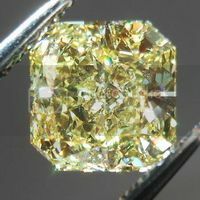 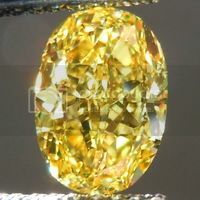 As you can see there's all kinds of different hues emanating through the top of this diamond. 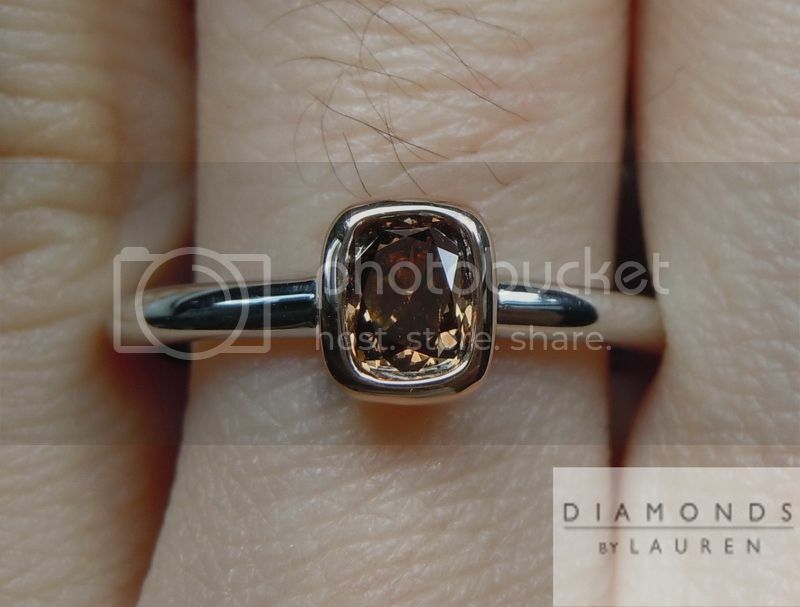 It's a lovely cushion cut. 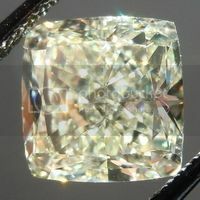 The clarity, at SI1 will never bother you - it is not possible to see any imperfection with the naked eye. 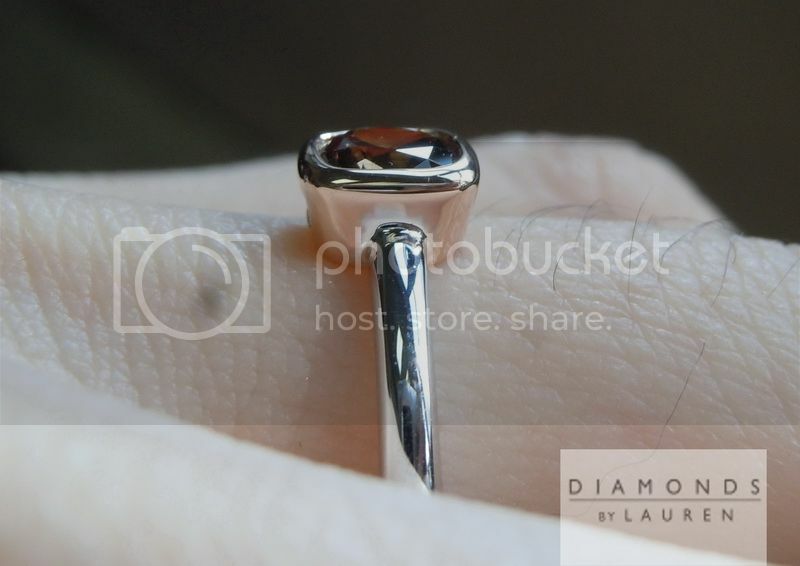 Our custom made ring, in 14kt white and pink gold rounds out this bargain The ring was made right here in NYC. 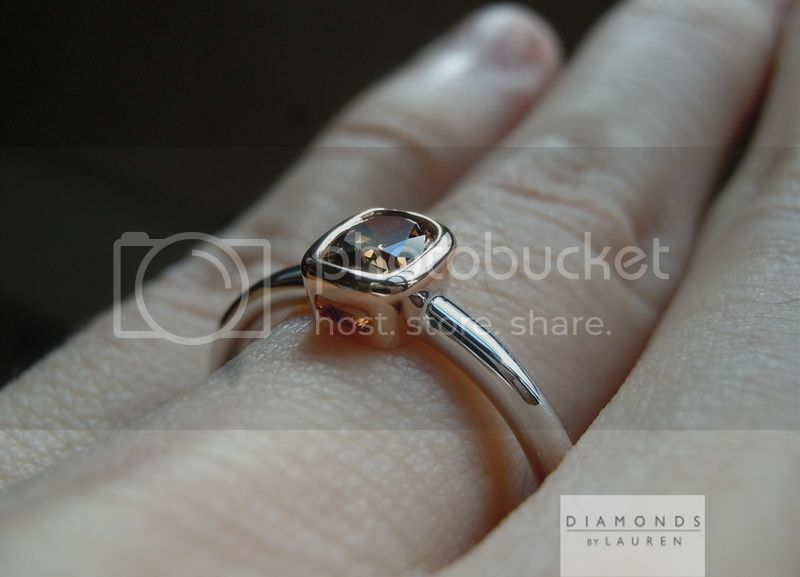 If it ever needs anything we'll take care of it for you.